Sounds like a weird mixture, right? But when you put the the two together, it’s actually quite tasty! 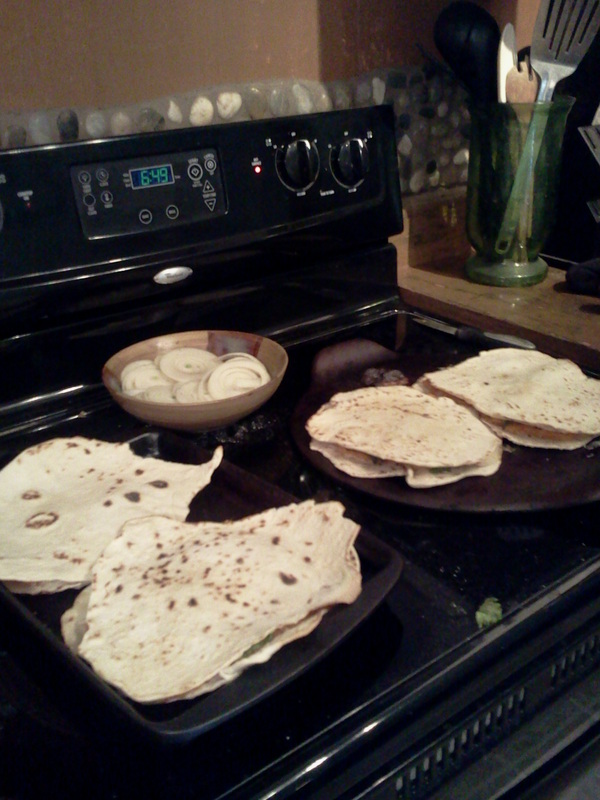 I came across this recipe for the homemade tortillas. Preheat oven to 425 degrees. Mix all ingredients EXCEPT for spinach and cheese. 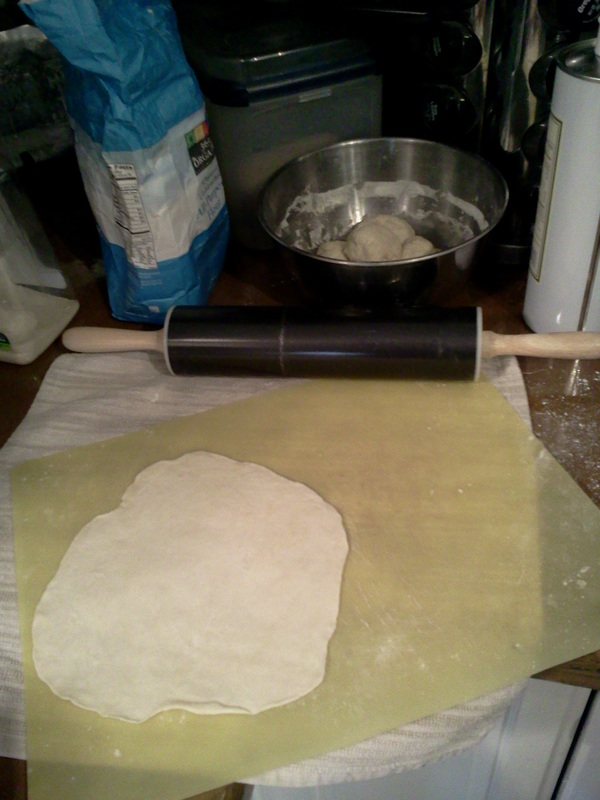 Once mixed, spread the mixture on the homemade tortilla. Sprinkle the cheese on top and lay spinach (about 5-6 leaves) over cheese. 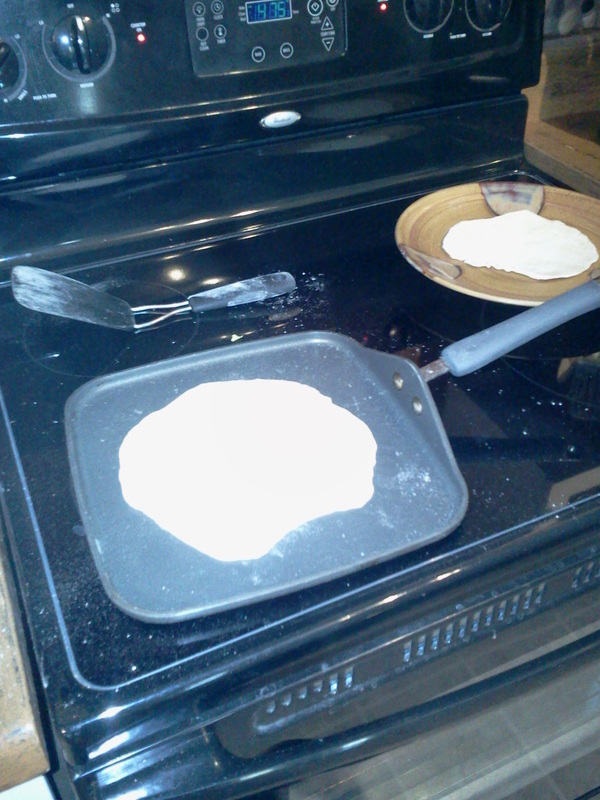 Lay another tortilla on top. I used a stone to bake these, which was perfect. No need to oil pan. Bake enchiladas for about 5-8 minutes or until the bottom and top is a little crispy. Slice a small-medium onion. In a pan over a stove top, mix in 1 cup of water, 1/4 cup of Raw Sugar, 1/4 cup of Red Cider Vinegar. Heat on Med- Med high until sugar is mixed well. Pour mixture in a bowl with onion and let it soak until enchiladas are finished and place on top of enchiladas and serve! Our children loved it, and it’s a tasty, sweet dinner! Enjoy! Sounds kind of yummy. I’ll give it a shot…might sub raw honey for the raw sugar….